Greenwood House School, the dynamic nursery and primary school committed to exceptional education for children, has announced that it has revamped its crèche services. 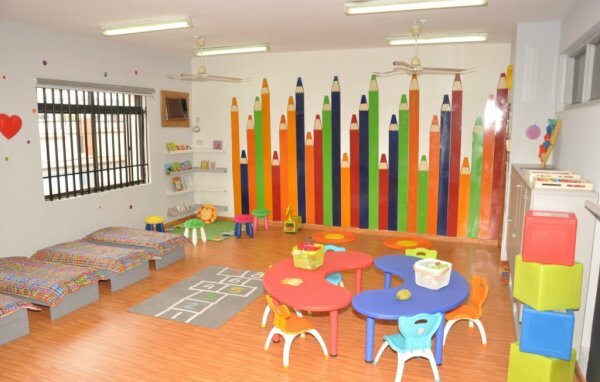 The crèche now incorporates a curriculum filled with academic and extramural activities for early bloomers and infants and added technology based learning to its services. The revamp also included the restoration of the crèche rooms, the play areas, and safety facilities. Located in Park View, Ikoyi, Lagos, the Greenwood House School Crèche is a learning and development centre that accommodates toddlers from age 0 to 2 years old. The structure of the services range from preschool education, childcare & development and the crèche operates from 6am to 6pm daily with extended hours if required. Apart from childcare, the Greenwood House School crèche also provides the opportunity for children to explore and expand their learning capabilities. Speaking about the crèche, co-founder, Greenwood House School, Dr. Mrs. Titilola Ekua Abudu said that attention, affection, and appropriate learning techniques and curriculum are critical to the emotional development of children, “Children who are enrolled at the Greenwood House School crèche grow into confident children with basic speaking and writing skills who concentrate exceptionally well. They develop into well-rounded and intelligent individuals, who are able to mix well with other and excel in their academics. To help the children develop mentally, we have developed a routine at the crèche that encourages curiosity and performance”. “We focus on learning themes that help with language learning abilities such as simple rhymes, songs, numbers and alphabets. Our facilities are also child friendly and secure for kids,” Dr. Abudu adds. Greenwood House School crèche incorporates facilities that have been purposefully built to enhance the development of children as well as facilitate the molding of their lives. With an ideal location, the Greenwood House School crèche provides a safe, clean and accessible environment. In addition to this, the crèche has all the necessary facilities including kitchen, toilets and bathrooms, beds, toys and an outdoor playground. The atmosphere is a very warm and comfortable one that will appeal to parents and make children happy. A team of qualified, dedicated and experienced staff is also on ground to engage the children in activities that will foster their mental, emotional and physical development.